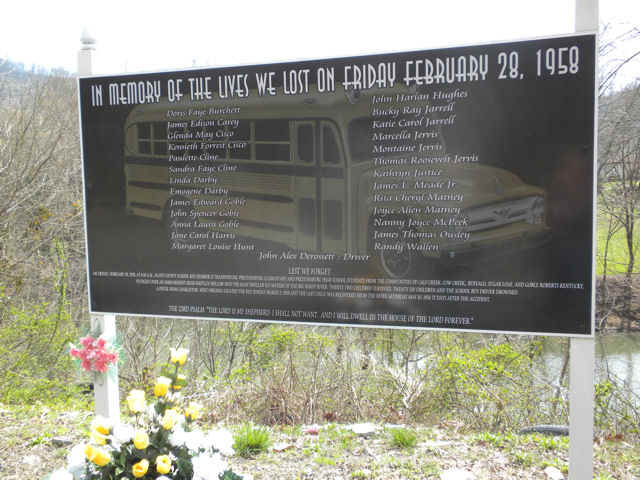 On Friday, February 28, 1958 at 8:10 AM a school bus transporting children plunged off a bluff into the Big Sandy River. 26 children and the driver died in this tragic accident. Katherine Justice was among those who died in the crash. 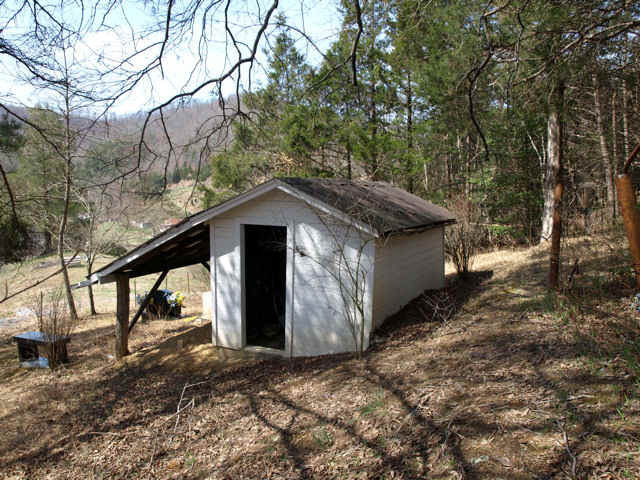 Her family buried her in a little hillside cemetery in a gravehouse because they did not want her to ever be wet again. 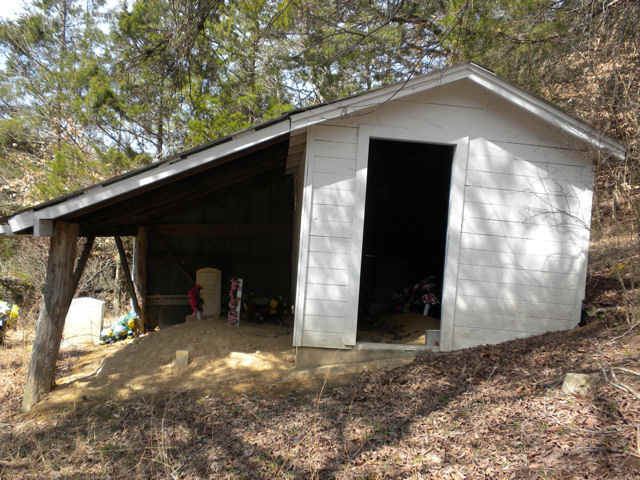 When her mother died they added a shed to the gravehouse.